If you had your sights set on the Pebble Time as your first/next smartwatch but missed out on the Kickstarter campaign, you can now head over to your local Best Buy or hit up Best Buy’s website and buy one. Priced at $199, you get a smartwatch with industry leading battery life, a color e-paper display, compatibility with Android and iOS (limited), and a unique user interface that differs from Android Wear and Apple Watch. Best Buy has red, white, and black models available online, but you may want to check with your local store for specific color availability. 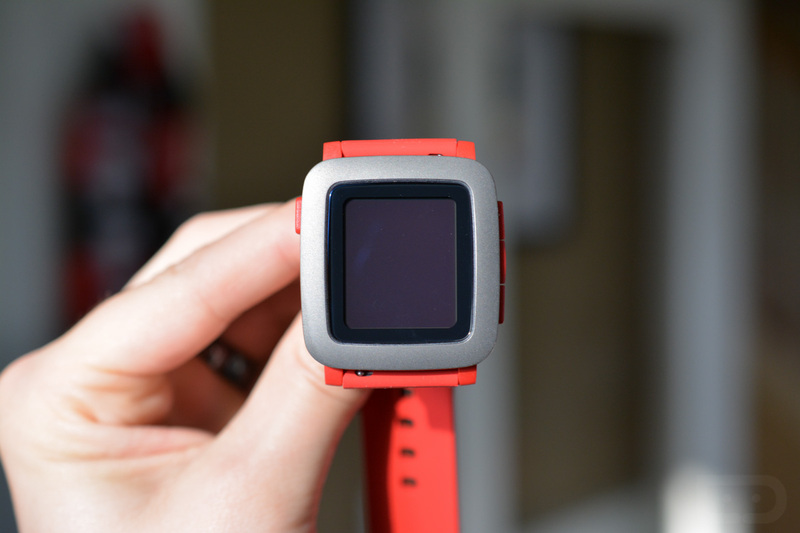 We reviewed the Pebble Time and found the battery life, user interface, water resistance and band to be quite lovely. On the other hand, the low-resolution display and childish (or cheap) design were a bit disappointing. If you are an Android user, this is a watch to consider if you need long battery life. If you are an iPhone owner, you should probably look elsewhere, as the functionality is quite limited on iOS.